AMCA is another project to develop a medium weight combat aircraft, which having fifth generation capabilities like active sensor and processing systems, internal weapon carriage capability, precision strike capability and invisible to enemy radars. The AMCA work initiated in early 2012 with the estimated project completion time of 2025. The Indian Navy too joined with the AMCA project with air force and other Indian state owned, Private aviation sectors and electric companies to build and assist the AMCA project. Foreign collaboration also sought for this project, since crucial hardware's like radar and engines comes from abroad only. The AMCA preliminary design was changed several times, to adopt new model engines, Radar's and long range missiles. Like how the A 10 developed to carry the GAU 8 Avenger cannon. The AMCA also developed to carry multi national equipment's like Missiles, Radar's and Engines. Currently more than 4000 employers assigned into the AMCA project,where they extracted from ADA, DRDO, HAL and some other leading private companies. The AMCA team identified three major technical works. Which are Thrust vectoring, super cruise Engines, Active radar's and other processing system and the radar absorbent material. India asks for a joint development of fifth generation engines with foreign nations. It's reported India might need more than 2000 plus Engines for AMCA. India already has initiated a Engine project named Kaveri. India wants the new engine who powers the AMCA must be based on the Kaveri. In response many foreign nations responded for the Joint Engine development program. Currently three countries tries to seal the AMCA engine development program. US, France and England offers their known engine companies like General Electric, Snecma and Rolls Royce respectively. 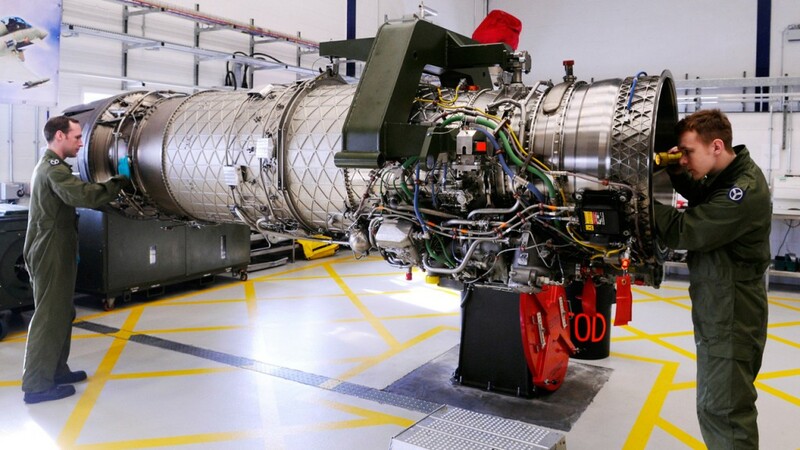 GE from America offered engine development based on the F 414 engine, and the Snecma announced the M 88 engine who powers the Rafale and the Rolls Royce also offered the EJ 200 engine for joint development with Kaveri. As per last known reports, US company General Electric leads in the program. who already supplying F 404 engines for LCA Tejas. GE also set ups manufacturing plants in India to produce aviation engines in India. As same like every other fifth generation fighters, The AMCA too hosts superior avionics and sensor suites. The AMCA hosts new generation GaN based AESA for superior detection and performance. 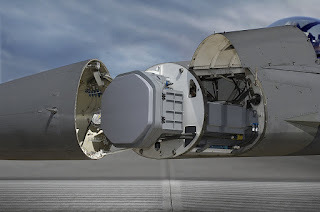 Currently there is no fighter jets has GaN based AESA radars. However many ground based radar available with GaN transceiver modules. Some information's reported that, state owned LRDE is initiated a project to develop a small size air borne X band GaN based AESA radar for AMCA. LRDE already shows a model of AESA radar in last years Aero India exhibition. However the Uttam is not good for fifth generation fighters like AMCA. 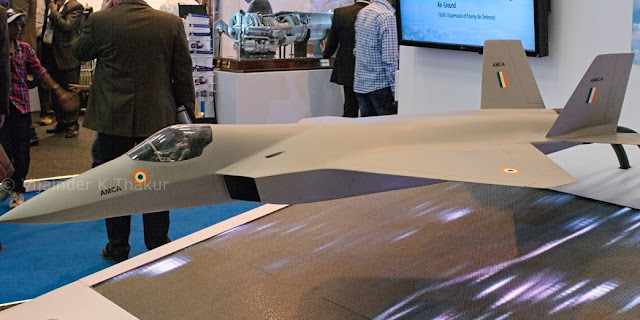 It's reported earlier that, India and Israel working for a joint project to develop a GaN based AESA for fighter jets. However due to the importance of the program the information's are highly classified. It's clear the Radar too be a joint venture between either US or Israel. The infrared based systems like IRST, missile warning systems, laser warning system also added internally in the AMCA. The IRST sensors are placed in all sides of the AMCA to provide full angle coverage like in Rafale and F 35. The proposed IRST system is work similar to the F 35's EOTS who shares the information's to friendly units like via the satellite and highly secured data links. AMCA also comes with self protection jammer system to jam enemy radar guided missiles from both air and ground. electronic counter measure systems to confuse the infrared guided missiles and a radar warning receiver too added to detect enemy radar frequency's. The Senor suites in AMCA led by the LRDE and BEL which include many private and foreign contributes.